The Gospel Found on a Mountain! This past Sunday a new friend, *Rafael (not his real name) was baptized at Harbor Mid-City. The story of how God worked in his life to draw him to Christ is amazing! This past June I was speaking at New Life Church in La Mesa. The same church I wrote about in my last post. After the service Dawn and I met David and Susan Dinwiddie. We first met them 20 years ago at Church in the Canyon in Calabasas, CA. They told us that their daughter, Katie was just returning from serving for two years at a mission school in Africa. They mentioned that she had a real heart for the Lord, and for missions. When we talked to Katie, who when I do the math was probably between 7 – 10 when we spent some time getting to know her church in the mid-90’s, said she remembered our prayer card, and praying for us. It makes us feel a little old, but what a blessing to meet this lovely young woman, who prayed for us as a child. Dawn and I were excited to meet Katie, in part because we thought she might be interested in working with us on the border. We met her in August, and learned that she was interested in exploring other missions opportunities. She said while she was in the area she would like to be involved with us as time allowed. We could tell she had passion to share the gospel. She’s short of stature, but she’s a little dynamo, and cares deeply for lost and hurting people. Katie also told us that she was in a budding relationship with Jon B, a missionary in Asia. Well that relationship now is in full bloom as they just got engaged last month. They are a great young couple. The type of couple that we would love to have serve in missions with us. Dawn and I are excited for them. 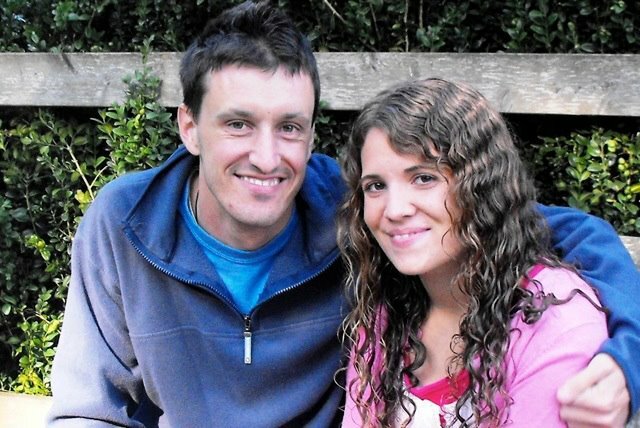 It is a win for the kingdom as Katie and Jon plan on serving in Asia after they are married. While Katie and Jon were together last month they went for a hike on Cowles mountain in San Diego County. While they were hiking they met Rafael. Rafael had been going through a really tough time. He was separated from his kids and family, and this among other things led to much discouragement. He began to entertain thoughts about committing suicide. So he decided to go on a hike. You know, to get some air and try to make sense of things. 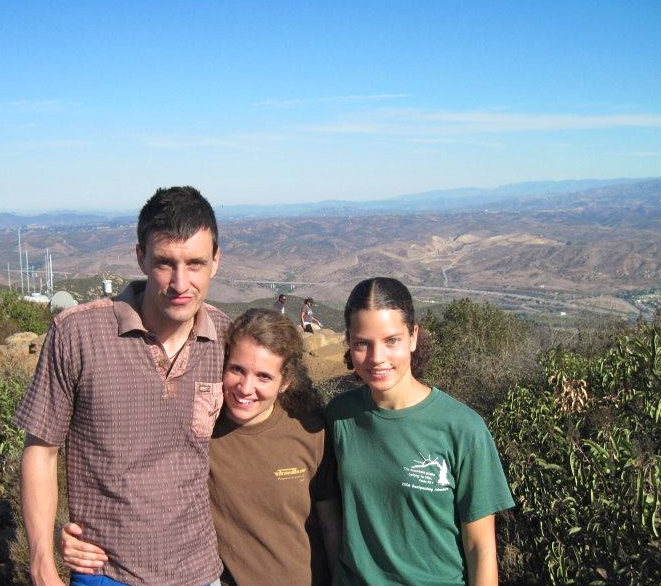 Little did he know that on that hike he would meet a friendly young couple, Jon B. and Katie Dinwiddie. Jon and Katie struck up a conversation with Rafael on Cowel mountain. After their hike they took Rafael out for lunch, and they shared the gospel with him. He responded to the promises of the gospel and prayed to receive Christ with them! 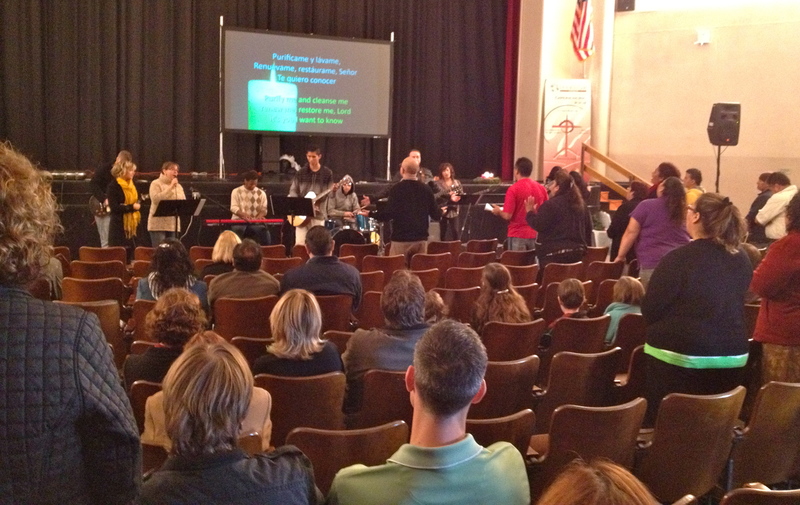 I saw Rafael the last time I was at Harbor Mid-City Church. He seemed more content. He told me that he was planning on getting baptized the following week. I just found out today, that he was baptized. Wow! What a great celebration! Thank the Lord for using our fellow missionaries and friends, Jon and Katie. Soon to be Jon and Katie B. Praising the Lord for His Blessings in 2011!